World Standards Day – ISO is 67 years today! The World Standards Day (14th October) marks the birth of the International Organization for Standardization (ISO) at the first inaugural meeting in London in 1946. The aim of World Standards Day is to raise awareness of the importance of international standards and the benefits they bring to the economy, the society and the technology worldwide. The theme of this year’s World Standards Day is “International standards ensure positive change”. ISO is a network of national standards bodies (e.g. NSAI – Ireland, BSI – UK, ANSI – USA). Membership has grown from 25 to 164 member nations today. ISO develops voluntary standards within the International Electrotechnical Commission (IEC), International Organization for Standardization (ISO), and the International Telecommunication Union (ITU). The current ISO library of standards now exceeds 19,500 standards detailed over 832,685 pages (December 2012). The ISO families of standard 9001 (Quality) and 14001 (Environmental) have led the standards growth. ISO 9001 certifications have grown exponentially over the past twenty years from 46,571 in 1993 to 1,101,272 in 2012. In second place is ISO 14001 with annual certifications growing from 13,994 in 1993 to 285,844 in 2012.
http://www.almir.biz/wp-content/uploads/2016/05/almir-butterfly2.png 218 201 TanyaG http://www.almir.biz/wp-content/uploads/2016/11/header-imagec.jpg TanyaG2013-10-07 14:56:562017-04-04 17:37:26World Standards Day – ISO is 67 years today! ISO 14001 Changes are coming…. 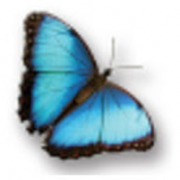 http://www.almir.biz/wp-content/uploads/2016/05/almir-butterfly2.png 218 201 TanyaG http://www.almir.biz/wp-content/uploads/2016/11/header-imagec.jpg TanyaG2013-10-07 14:22:432017-04-04 17:38:31ISO 14001 Changes are coming…. Scouting has a long tradition in Ireland, dating back to 1908, when the first 4 boys were enrolled in the wolf patrol, 1st Dublin Troop. A lot has changed since then leading up to the formation of Scouting Ireland in 2004 with the amalgamation of Scouting Ireland (SAI) and Scouting Ireland (CSI). Scouting strives to develop young people from age 6 ‘Beavers’ to age 20 ‘Rover Scouts’ through defined programmes with a strong emphasis on team, adventure and above all, fun.